2015 saw records shattered in the Turkish automotive market, in terms of total automotive sales, manufacturing and exports. Sector-wide automotive sales exceeded 1 million units in 2015, up 25% over the prior year. Passenger car sales rose 24%, light commercial vehicle sales were up 36%, medium commercial vehicle sales increased by 33% and truck sales went up 8%. The share of passenger cars in the overall automotive industry fell by 1 percentage point over the previous year to 72%, while the share of light commercial vehicles went up from 12% to 13%. In addition, the share of diesel automobile sales to total sales fell to 62%, while the proportion of automatic transmission cars rose to 50%. Vehicles in the low-tax A, B and C segments constituted 83% of the overall automobile market. Total automotive production hit 1 million 359 thousand vehicles and total exports climbed to 992 thousand units, both all-time highs. Some 73 out of every 100 vehicles manufactured were exported. The Turkish automotive sector ranked 16th globally in terms of total automotive manufacturing. In the EU, Turkey placed first in terms of commercial vehicle production and seventh in automobile production. According to European Automobile Manufacturers' Association (ACEA) data, in Europe, Turkey's biggest export market, sales of light commercial vehicles of up to 3.5 tons grew 12% for the year, rising for 28 months in a row. Automotive Industry Association data showed that as a result of the economic recovery in Turkey, especially after October 2015, the number of buses sold with a 35-person capacity and up grew by 47%, while the midibus segment, with less than 35 passengers, expanded by 10%. Total bus exports rose 23%, although midibus exports fell 46%. Small truck segment production grew by 42% during the year. The international logistics sector was adversely affected by difficulties along Turkey's borders in 2015; however, the trailer market continued to grow thanks to the ongoing dynamism of the domestic construction industry and new regulations such as ADR. After a strong four-year performance, global tractor sales started to weaken in 2014 and 2015. Numerous national markets were negatively impacted by the fall in end-product prices and attractive bargains in previously owned vehicles. The world tractor market totaled 1.3 million vehicles according to data for the first 11 months of 2015, and Turkey became the fourth largest national market after India, China and the USA. The impressive vigor in Turkey's tractor market in 2014 was followed by favorable developments in the agriculture sector in 2015, leading to a rise in tractor sales. According to Turkish Agricultural Equipment and Machinery Manufacturers Association data, 66,615 tractors were sold in Turkey in 2015 with sector-wide production up 4% over the prior year. Even as tractor sales declined across the globe, the Turkish tractor market extended the momentum it gained in 2014 to become the fastest growing in the world with 12% growth according to TÜİK data, with a total of 66,775 sales in 2015. In 2015, Koç Group's share in the total automotive production in our country was 45% while its shares in total automotive exports and automotive sales were 43% and 24% respectively. With a 24.1% market share, Koç Holding remained the leader in the automotive market including buses, which expanded 25% in 2015. 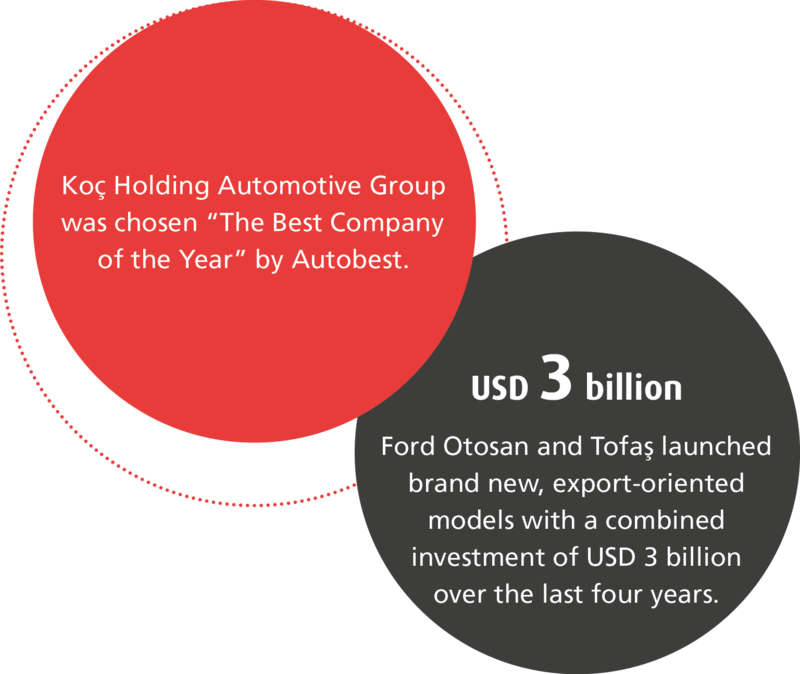 Ford Otosan came in second in the overall automotive market with a 12.5% share and Tofaş closed the year in the fourth place by capturing a 11.3% market share. 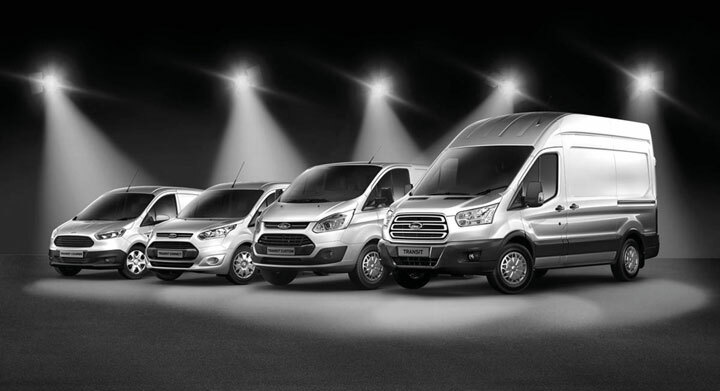 Having completed its capital investments and rolled out new models in 2014, Ford Otosan advanced from strength to strength in 2015 with its new facilities, setting sales and production records. Due to the favorable domestic market environment, which posted record high sales in 2015, positive developments in overseas markets, and the fast pace of sales of the Company's new products, the Company boasted its highest sales ever – 380,742 vehicles. In parallel, the total production volume broke another record with 334,622 vehicles while the capacity utilization rate in the three shifts hit 81%. Tofaş, under the Fiat brand, ranked second in the domestic light and medium commercial vehicles segment with a 25.6% market share. In the overall automotive market, the Company was fourth with a 11.3% share gained from the various brands it markets. In 2015, the fourth generation Fiat Doblo, Fiat 500, Fiat 500X in the SUV segment and the new compact sedan Egea models rolled out. Launched in November, Egea became the third best-selling sedan model in December and started being exported to EMEA markets under the Tipo brand. Otokoç Otomotiv sold about 79 thousand new cars in 2015 and captured an 8% market share. In used car sales, the Company continues to lead among corporate brands with 24 thousand in unit sales. In short term car rentals, Avis saw its turnover rise 33% while Budget reported a 46% increase in sales. In operational leasing, the Company increased its turnover by 11% with its 23-thousand car fleet. In 2015, Otokar was Turkey's most preferred brand for the sixth year in a row in buses with 25 or more passengers. It was also the export leader of small, 7-meter buses. In the defense industry, the decision to support national projects to reduce dependency on imports had a positive impact on the domestic sector and manufacturers. The Company maintained its position as Turkey's leading land vehicle manufacturer in the defense industry; additionally, it was presented with 1st Prize in 2015 by the Undersecretariat of Defense Industry in recognition of its successful performance over the last three years. TürkTraktör broke a new record in its 61-year history by producing 47,536 tractors, selling 33,002 tractors in the domestic market and posting turnover of more than EUR 1 billion in 2015. The Company's facilities in Erenler, Sakarya, the largest tractor factory in Europe, manufactured its 50,000th tractor in December.